Often requested (and duly made) for boys' birthday dinners, this dish is all about the sauce of finely chopped onions, brandy, Worcestershire sauce and sour cream. We use filet steak - and never flambé (Peter). 1. 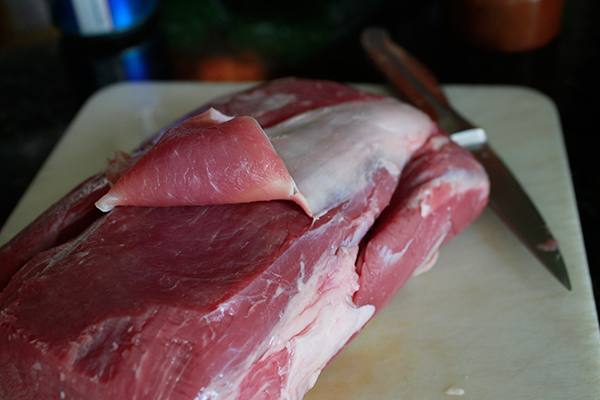 Allow meat to reach room temperature then trim off sinew and obvious fat. You can sear the meat in a pan - and use the juices for your sauce. I prefer to sear the meat on the barbeque. 2. Cut filet into 1" slices then salt liberally. 3. Sear on high heat in a pan - or preferably on the barbeque. Cook around 3 minutes each side for medium rare - longer if preferred. Remove and set aside. 4. Cut onion as fine as possible and fry 2-3 minutes in the butter and oil. then add garlic and fry another minute. 5. Reduce heat to medium and add water (most will quickly boil off) then brandy and Worcestershire sauce and stir to combine. Pour in any red residue from steak plate. 6. Add sour cream and stir in. Test volume, flavor and thickness of sauce and adjust as needed. Add green peppercorns (if using). 7. Add steaks and turn every minute or so until reheated. Toss in parsley and serve with potatoes, asparagus, honey carrots or other sides.